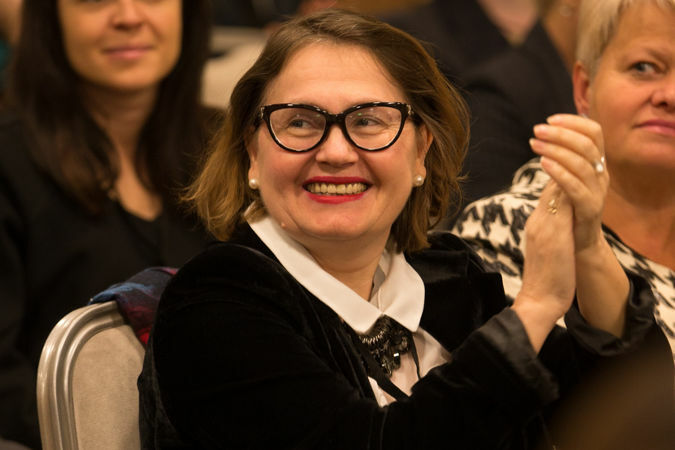 Valentina Bodrug-Lungu is the vice-president of the Gender Equality Platform in the Republic of Moldova, which is a voluntary association of individuals and organizations that act as a unified voice for the promotion of gender equality in the country. She is also the president and founder of Gender-Centru, a non-governmental organization that carries out projects on gender education, combatting domestic violence and preventing and combating discrimination. She helped develop and promote gender equality and anti-domestic violence laws and her work has received support from the UN programme Women in Politics, implemented by UN Women and UNDP, with financial support from the Swedish Government. 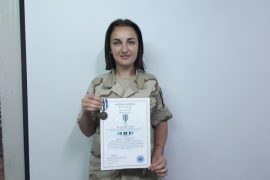 Known by her students as Madam Gender, Ms. Bodrug-Lungu built the foundation for gender education in Moldova through the creation of the Masters’ course ‘Therapy for Family Relationships’ at Moldova State University. “I see our society in a state of suspension, somewhere between modernism and traditionalism. We understand that we want equality and equity, and we want women to be able to achieve their goals in life. But we are held back by stereotypes that put household responsibilities entirely on women. Gender equality is low on the legislative agenda with deficient allocation of financial and human resources to back the issue. 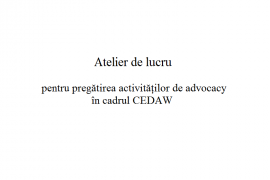 It is viewed as a ‘caprice’, or an activity just for civil society activists. We face many gender-related problems including gender segregation at work, sexual harassment on the job, and gender gaps related to social protection and the pension systems. I was lucky because I grew up in a gender-sensitive household, even though we didn’t know it at the time. My father came home from work before my mother and took care of us, made our dresses for kindergarten, told us stories and fed us. He respected my mother and her work. When I began teaching, I encountered many family violence cases. I saw close relatives suffering from domestic problems. When I began advocating for an anti-violence law, a Member of Parliament asked me why I insisted on this law, and wondered if my husband hit me. I told him that my motivation was that I had never known what violence was. I wanted other women to understand that life without violence was possible. We need more dedicated, better-targeted policies to ensure equality between women and men. While laws are changing, we must also focus on ensuring their effective implementation. We also need to strengthen the positive links between women’s empowerment and development. This means ensuring political change through affirmative action and training programmes, and economic change through entrepreneurship and education. I also believe that the lack of the democratic political culture limits women’s access to decision-making positions. Viewing women primarily through a maternity and family life perspective limits their social and political activism. The persistence of tolerance towards men’s misogyny in public life is a significant barrier to equality.